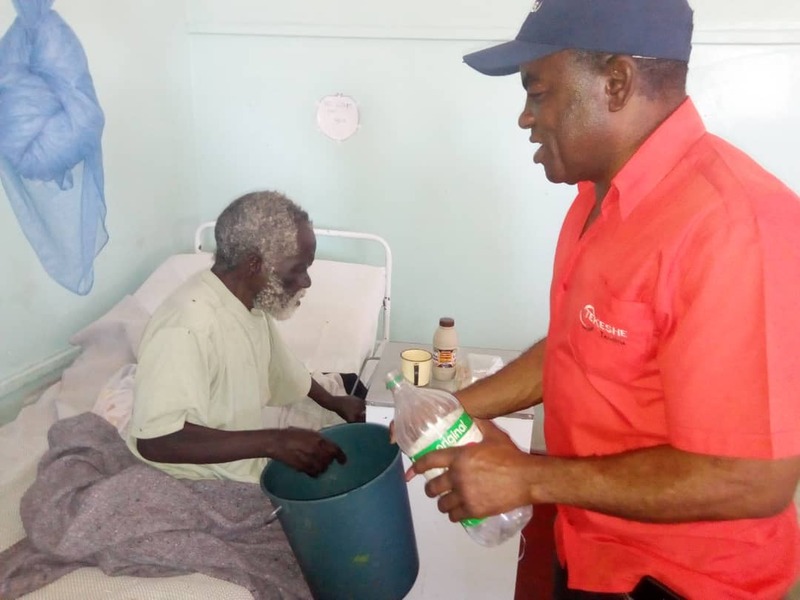 RUSAPE – Member of Parliament (MP) for Makoni Central, David Tekeshe has paid a visit to some of the survivors of the recent Rusape bus accident horror who are being hospitalised at Rusape General Hospital. The accident claimed 50 lives and maimed many more after a Smart Express bus side-swapped a Bolt Cutter bus while trying to overtake a truck along the Harare-Mutare highway. Tekeshe said he was in Bulawayo for a pre-budget seminar when the accident happened, saying the news distressed him beyond measure. He said by the time he made it to Rusape General Hospital for the first time after the accident, most survivors of the accident had already been transferred to other hospitals in Harare, Marondera and Mutare. “I send my condolence massages to all the bereaved families around the country for the loss of their family members, friends and relatives. I also wish those who got injured a speedy recovery,” said Tekeshe. The MP also visited an old homeless man who used to stay at Vengere bus terminus and has been waiting to undergo surgery at Mutare Provincial Hospital. The man was still admitted at Rusape General Hospital where he is being fed pending an operation on his private parts at Mutare Provincial Hospital. Tekeshe rescued the gravely ill man from the bus terminus and took him to hospital but attempts to get the Social Welfare Department help him with funds for treatment have not succeeded. As a member of the Parliamentary Portfolio Committee on Public Service, Labour and Social Welfare, Tekeshe is pushing for government to pay social grants for such highly vulnerable members of society as the blind, the deaf and people with other forms of disabilities.